Children are not "the future of the church." Children ARE the church today! The First Presbyterian Church Early Learning Center is a weekday program that provides a safe, happy environment where the social, emotional, physical, and intellectual development of each child is fostered through a variety of activities. Creative Curriculum is utilized and special instruction is offered to all children in Spanish language and music. Classes are available for children between the ages of 2 and 4 years. All class schedules follow the Newton County School calendar. To register your child and/or ask questions, please contact ELC Director Darlene Alley at 770-786-7321, ext. 4, or fpelcdirector@gmail.com. Visit our FPELC website HERE. We offer Sunday School programs for children ages three years and older starting at 10:00 am on Sunday mornings. We provide a safe, caring Nursery for children up to two years of age during Sunday School (9:45 - 10:00 am) and Worship (11:00 - 12:00 noon). 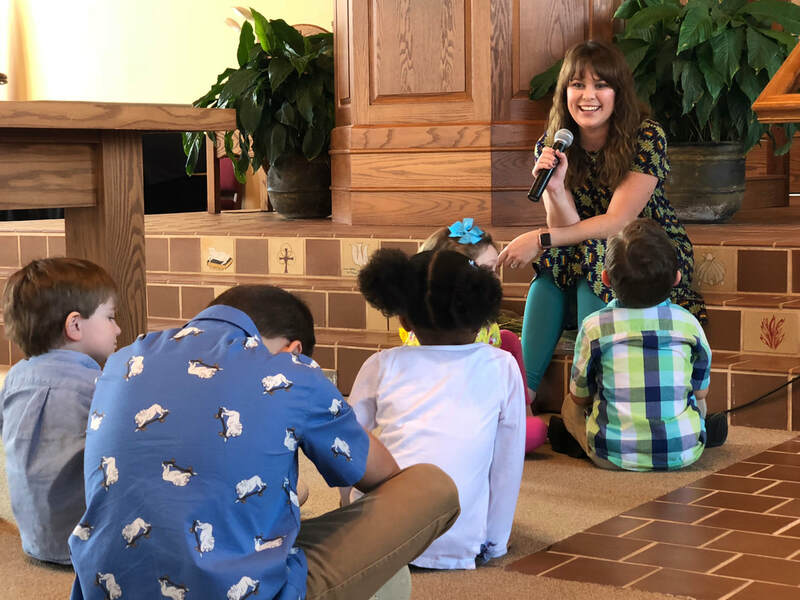 Preschool aged children are welcome in worship where they are invited to participate in a special Children's Sermon offered by one of our pastors. Afterward, they are invited to proceed back to their Sunday School room for more fun and fellowship during the remainder of the worship service. Questions?? For more information regarding Children's Ministry here at First Presbyterian Church, please contact Dan Walden at 770-786-7321, or 404-405-3559, or by e-mail at djwalden@mac.com. and member church of the Presbytery of Greater Atlanta. Copyright © First Presbyterian Church, Covington GA . All rights reserved.